Our nation's servicemembers commonly use dietary supplements to enhance their performance. Despite this prolific use, many of these products have detrimental side-effects that compromise servicemembers' health and could, by proxy, compromise a mission. 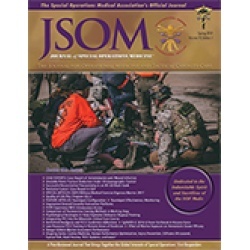 This paper presents the case of a 32-year old Navy Special Operations Forces (SOF) Sailor who, prior to physical training, used a supplement containing 1,3 Dimethylamylamine (DMAA), and then developed atrial fibrillation with rapid ventricular response. He required intravenous calcium channel blocker administration, followed by beta blockers, for rate control. As military providers, we routinely ask our patients about their use of supplements and while the regulation of these products is beyond the scope of practice for most of us, it is our duty to become better educated about the risks and benefits of these supplements. We must educate our patients and our commands on the potential harm that these supplements may pose.